The concept of functional groups is central in organic chemistry, both as a means to classify structures and for predicting properties. A functional group is a molecular module, and the reactivity of that functional group is assumed, within limits, to be the same in a variety of molecules. Functional groups can have decisive influence on the chemical and physical properties of organic compounds. Molecules are classified on the basis of their functional groups. Alcohols, for example, all have the subunit C-O-H. All alcohols tend to be somewhathydrophilic, usually form esters, and usually can be converted to the corresponding halides. 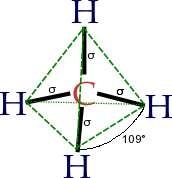 Most functional groups feature heteroatoms(atoms other than C and H). Organic compounds are classified according to functional groups: alcohols, carboxylic acids, amines, etc. Substances consisting entirely ofsingle-bonded carbon and hydrogen atoms and lacking functional groups are called alkanes. There are three basic types of structure that they are classified in: the linear straight-chain alkanes, branched alkanes, and also cycloalkanes. Alkanes can be subdivided into three groups. An alkane is also called saturated hydrocarbon because the compound has only single bonds between the atoms. Alkanes that have a ring or cyclic structure are called cyclic alkanes, while those that are without are called acyclic. General formula: CnH2n+2, n>2. Alkenes area class of hydrocarbons that contain only carbon and hydrogens. 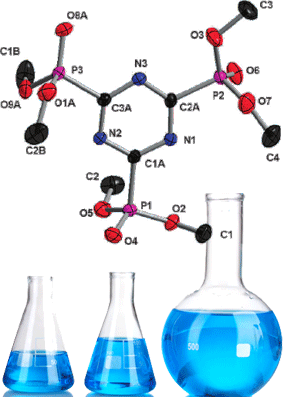 They are unsaturated compounds that contain at least one carbon-to-carbondouble bond. Another term that is often used to describe alkenes is olefins. Alkynes are organic molecules made of the functional group carbon-carbon triple bonds. They are written in the empirical formula of CnH2n-2. They are unsaturated hydrocarbons. Benzene is one of the best-knownaromatic compounds as it is one of the simplest and most stable aromatics. Aromatic hydrocarbons contain conjugateddouble bonds. This means that every carbon atom in the ring is sp2 hybridized, allowing for added stability. The most important example is benzene, the structure of which was formulated by Kekulé who first proposed the delocalization or resonance principle for explaining its structure. Alcohols are molecules containing the hydroxyl functional group (-OH) that is bonded to carbon atom of an alkylor substituted alkyl. The hydroxyl functional group strongly contributes to the physical properties of alcohols. Compounds in which a hydroxyl group is bonded to an aromatic ring are called phenols. The chemical behavior of phenols is different in some respects from that of the alcohols, so it is sensible to treat them as a similar but characteristically distinct group. Ethers are a class of organic compounds that contain an oxygen between two alkyl groups. They have the formula R-O-R', with R's being the alkyl groups. these compounds are used in dye, perfumes, oils, waxes and industrial use. Ethers are treated as alkanes and are named as alkoxyalkanes. Aldehydes and ketones are organic compounds which contain a carbonyl group - a carbon-oxygen double bond. The carboxyl functional group that characterizes the carboxylic acids is unusual in that it is composed of two functional groups: (1) the carboxyl group and (2) of a hydroxyl group bonded to a carbonyl group. It is often written in condensed form as –CO2H or –COOH. Estersare known for their distinctive odors and are commonly used for food aroma and fragrances. The general formula of an ester is RCOOR'. Proteins are large biological molecules, or macromolecules, consisting of one or more chains of amino acid residues. Proteins perform a vast array of functions within living organisms, including catalyzing metabolic reactions, replicating DNA, responding to stimuli, and transporting molecules from one location to another. Nucleic acids are polymeric macromolecules, or large biological molecules, essential for all known forms of life. Nucleic acids, which include DNA (deoxyribonucleic acid) and RNA (ribonucleic acid), are made from monomers known as nucleotides. Each nucleotide has three components: a 5-carbon sugar, a phosphate group, and a nitrogenous base. If the sugar is deoxyribose, the polymer is DNA. If the sugar is ribose, the polymer is RNA. Lipids are a large and diverse group of naturally occurring organic compounds that are related by their solubility innonpolar organic solvents (e.g. ether, chloroform, acetone & benzene) and general insolubility in water. There is great structural variety among the lipids, as will be demonstrated in the following sections. Carbohydratesare large biological molecules consisting of carbon, hydrogen, and oxygen atoms, usually with a hydrogen: oxygen atom ratio of 2:1. Physical chemistry is the branch of chemistry concerned with the interpretation of the phenomena of chemistry in terms of the underlying principles of physics. It lies at the interface of chemistry and physics, in as much as it draws on the principles of physics (especially quantum mechanics) to account for the phenomena of chemistry. It is also an essential component of the interpretation of the techniques of investigation and their findings, particularly because these techniques are becoming ever more sophisticated and because their full potential can be realized only by strong theoretical backing. Physical chemistry also has an essential role to play in the understanding of the complex processes and molecules characteristic of biological systems and modern materials. Physical chemistry is traditionally divided into a number of disciplines, but the boundaries between them are imprecise. Thermodynamics is the study of transformations of energy. Although this study might seem remote from chemistry, in fact it is vital to the study of how chemical reactions yield work and heat. Thermodynamic techniques and analyses are also used to elucidate the tendency of physical processes (such as vaporization) and chemical reactions to reach equilibrium — the condition when there is no further net tendency to change. Thermodynamics is used to relate bulk properties of substances to each other, so that measurements of one may be used to deduce the value of another. Spectroscopy is concerned with the experimental investigation of the structures of atoms and molecules, and the identification of substances, by the observation of properties of the electromagnetic radiation absorbed, emitted, or scattered by samples. Microwave spectroscopy is used to monitor the rotations of molecules; infrared spectroscopy is used to study their vibrations; and visible and ultraviolet spectroscopy is used to study electronic transitions and to infer details of electronic structures. The enormously powerful technique of nuclear magnetic resonance is now ubiquitous in chemistry. The detailed, quantitative interpretation of molecular and solid-state structure is based in quantum theory and its use in the interpretation of the nature of the chemical bond. Diffraction studies, particularly x-ray diffraction and neutron diffraction studies provide detailed information about the shapes of molecules, and x-ray diffraction studies are central to almost the whole of molecular biology. The scattering of neutrons, in inelastic neutron scattering, gives detailed information about the motion of molecules in liquids. The bridge between thermodynamics and structural studies is called statistical thermodynamics, in which bulk properties of substances are interpreted in terms of the properties of their constituent molecules. 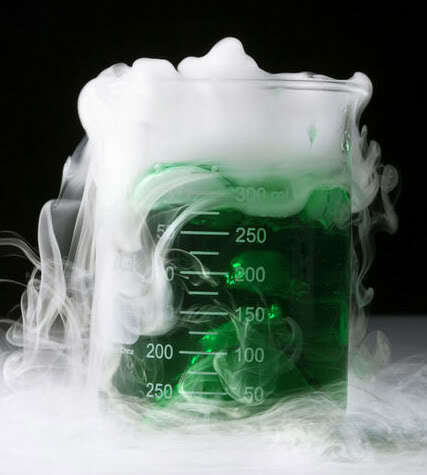 Another major component is chemical kinetics, the study of the rates of chemical reactions; it examines, for example, how rates of reactions respond to changes in conditions or the presence of a catalyst. Chemical kinetics is also concerned with the detailed mechanisms by which a reaction takes place, the sequences of elementary processes that convert reactants into products, including chemical reactions at solid surfaces (such as electrodes). There are further subdivisions of these major fields. Thermochemistry is a branch of thermodynamics; its focus is the heat generated or required by chemical reactions. Electrochemistry is the study of how chemical reactions can produce electricity and how electricity can drive chemical reactions in "reverse" directions (electrolysis). Increasingly, attention is shifting from equilibrium electrochemistry (which is of crucial importance in interpreting the phenomena of inorganic chemistry) to dynamic electrochemistry, in which the rates of electron-transfer processes are the focus. Chemical kinetics has divisions that are based on the rates of reaction being studied. Special techniques for studying atomic and molecular processes on ever shorter time scales are being developed, and physical chemists are now able to explore reactions on a femtosecond (10−15 second) timescale. Chemical kinetics studies are theoretical as well as experimental. One goal is to understand the course of reactions in step-by-step (and atomic) detail. Techniques are available that allow investigators to study collisions between individual molecules. Physical chemistry is essential to understanding the other branches of chemistry. It provides a basis for understanding the thermodynamic influences (principally, the entropy changes accompanying reactions) that drive chemical reactions forward. It provides justifications for the schemes proposed in organic chemistry to predict and account for the reactions of organic compounds. It accounts for the structures and properties of transition metal complexes, organometallic compounds, the microporous materials known as zeolites that are so important for catalysis, and biological macromolecules, such as proteins and nucleic acids (including DNA). 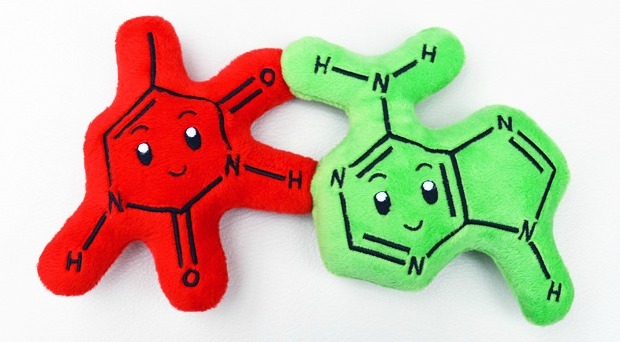 It is fair to say that there is no branch of chemistry (including biochemistry) that can be fully understood without interpretations provided by physical chemistry. There is a distinction between physical chemistry and chemical physics, although the distinction is hard to define and it is not always made. In physical chemistry, the target of investigation is typically a bulk system (for example, chemical equilibrium, and colloids). In chemical physics, the target is commonly an isolated, individual molecule. Theoretical chemistry is a branch of physical chemistry in which quantum mechanics and statistical mechanics are used to calculate properties of molecules and bulk systems. The greater part of activity in quantum chemistry, as the former is commonly termed, is the computation of the electronic structures of molecules and, often, their graphical representation. This kind of study is particularly important to the screening of compounds for potential pharmacological activity, and for establishing the mode of action of enzymes.